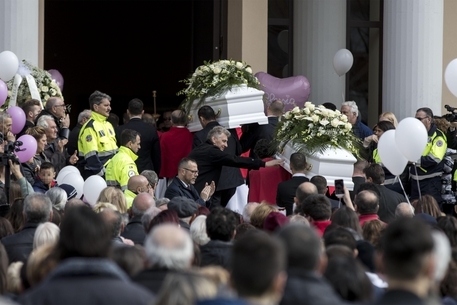 It was tears in Rome as thousands of mourners attended the burial of two young sisters shot dead by their father. 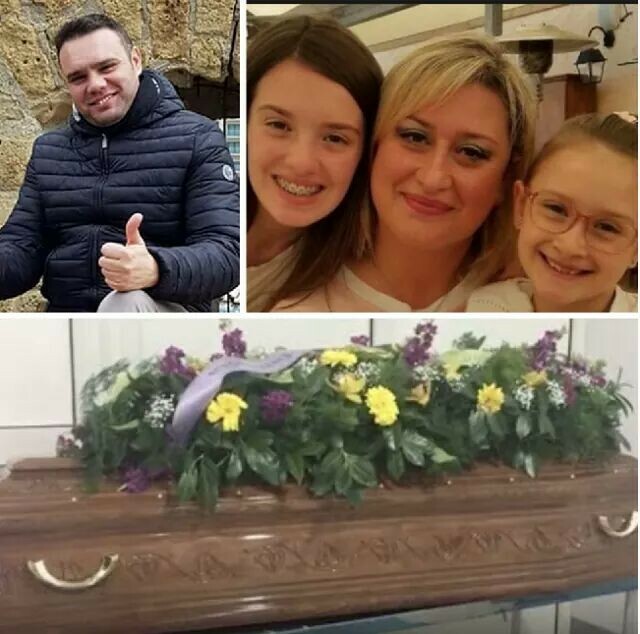 Around 15,000 people were at Cisterna di Latina's Collina dei Pini church in Rome and the square outside on Friday for the funeral of Alessia and Martina, two sisters aged eight and 14 who were shot dead by their father last week. 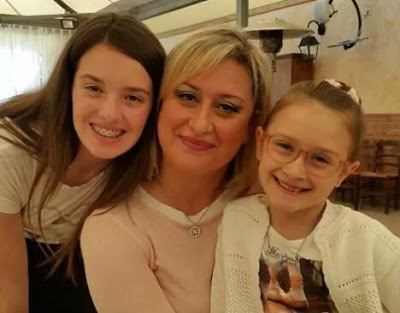 The father, Carabinieri police officer Luigi Capasso, also took his own life and shot and critically injured his wife Antonietta Gargiulo, the mother of the murdered girls. Gargiulo is in intensive care and was not able to attend the girls' funeral. The priest presiding over the funeral was heckled during the service after calling for prayers for the father too. "Excuse me, but the family has forgiven (him)," the priest said. "There has been forgiveness and the family is at peace", he said. You aren''t Christian if you don't forgive," he said. The priest said the girls were "well known and liked" in the community. Gargiulo prayed in the IC unit of Rome's San Camillo Hospital while the funeral was going on, Rome hospital sources said.